Yeah, you read that right. I said poo. Craft brewers the world over are constantly experimenting with different ingredients and flavour profiles in their beers, so novelty is nothing new. 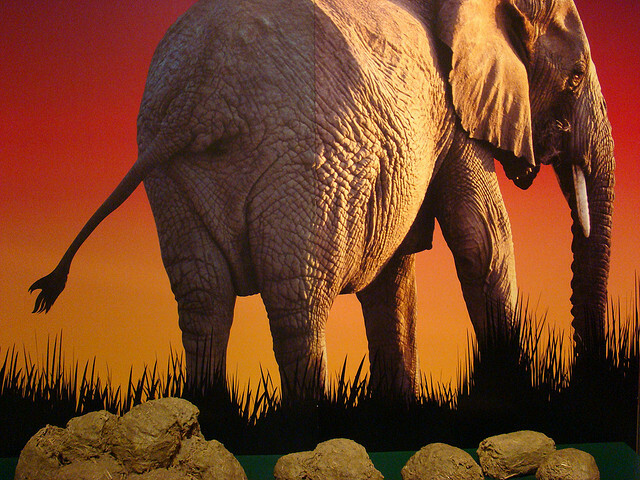 Even so, a beer made with elephant dung still has enough shock value to grab one’s attention. Before you get too grossed out it’s important to note that feces is not actually added to the beer. Rather, elephants are fed coffee beens which, uh, pass through the elephant and are retrieved from the, er, material extruded at the other end. Then they RINSE the coffee beans before using them in the brewing process. You also needn’t be worried about accidentally getting it mixed up with another japanese beer and consuming it unintentionally. All this bean retrieval and whatnot is an expensive undertaking and Un, Kono Kuro from Sankt Gallen brewery doesn’t come cheap. With a price tag of $1100 a keg, you’re likely to be well informed about what you’re getting in this “chocolate stout” that justifies the premium price.